If the student is enrolled in a private school that accepts the tax credit scholarship or is using the award to attend a public school outside his/her designated district, FLVS can be a part of his/her education as well! The Florida Legislature created the tax credit scholarship in 2001 to serve low-income students. The annual scholarship is an income-based program providing up to $5,272 to assist with tuition at participating private schools or $500 to help with transportation costs to out-of-county public schools. Courses taken at FLVS (up to two a year) do not affect or reduce the scholarship. To learn more about the Florida Tax Credit Scholarship, please visit the Florida Department of Education’s School Choice site. If you know someone on the FTC scholarship, or someone thinking about it, make sure you tell him/her that FLVS can be a part of his/her education too! Scholarship Funding Organizations approved to administer the Florida Tax Credit Scholarship Program and the Personal Learning Scholarship Account Program include Step up For Students and the A.A.A. Scholarship Foundation. Learn more about these organizations here. This entry was posted in Parent Edition, Student Edition and tagged Digital Learning, Florida Tax Credit Scholarships, FTC, Private Schools, Scholarships, School Choice, Step Up for Students on January 20, 2015 by Holly Sagues. My children are about to enter the 6th grade at summers end. They are currently on the Step Up For Students Program which has been an incredible help. I would like to implement the FLVS into their lives beginning with this summer. Am I understanding correctly that they may only take 2 courses each per year? Yes, that is correct. We look forward to having you! Don’t hesitate to let us know if you have any other questions. My kindergartener was awarded the tax credit scholarship and wanted to use it at flvs, but everyone I’ve spoken to is either not familiar with the scholarship or doesn’t know how it works with flvs. Please help I don’t want to lose the scholarship. Hi Byron. We can help with this! FLVS is free to all Florida students and we currently have two options on the elementary level. 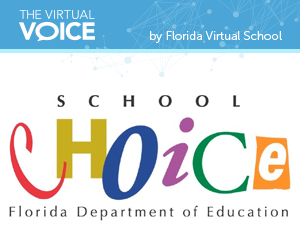 One is FLVS Full Time, our fully-online public school for grades K-12 that is operated through a partnership with Connections Academy for grades K-8. 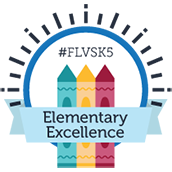 This year, we also have a new free FLVS Elementary option for grades K-5. You can learn more by clicking on the “Elementary” tab at https://flvs.net/options. Again, both of these options are available to Florida residents at no cost and would not require you to use the scholarship if we are your primary education provider. However, some students do use the tax credit scholarship (usually administered through an organization called Step Up for Students) to pay tuition at a private school. 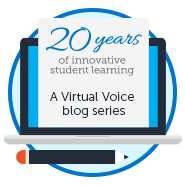 If your Kindergartener is attending a private school, the school may still consider our FLVS Elementary option for some subjects. On the middle and high school level, students who attend a private school on the tax credit scholarship can take up to two online FLVS courses each school year (in addition to their regular schooling) without it affecting the scholarship.